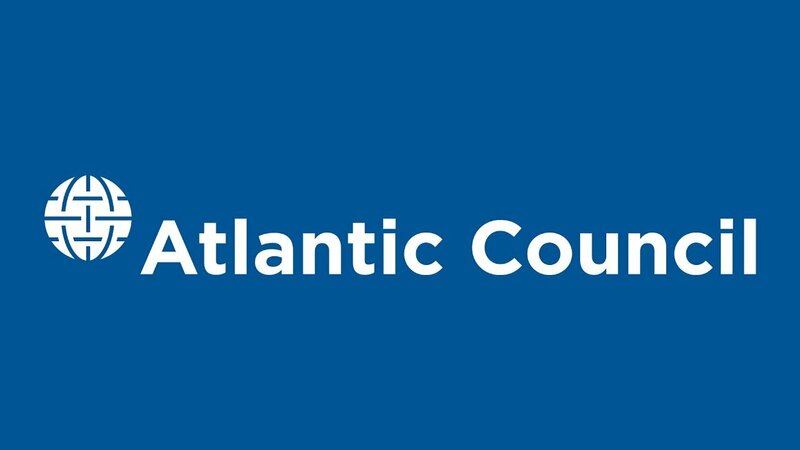 Founded in 1961, the Atlantic Council (AC) is part of the NATO offshoot Atlantic Treaty Association, described as an umbrella organization which acts as a network facilitator in the Euro-Atlantic and beyond, that claims to draw together “political leaders, academics, military officials, journalists and diplomats in an effort to further the values set forth in the North Atlantic Treaty, namely: democracy, freedom, liberty, peace, security, and the rule of law”. Atlantic Council’s board members include Henry Kissinger, former CIA chiefs Michael Hayden and Mike Morell, and Bush-era head of Homeland Security, Michael Chertoff. Its Digital Forensic Research Lab is led by a former Obama National Security Council advisor, and it is partnering with Facebook to carry out a purge of pages it deems to be “fake news”. Together with the Americas Society/Council of the Americas (AS/COA), the Wilson Center and other organisations (between which there is a revolving door for personnel), the Atlantic Council has been an international platform and promoter for both the controversial anti-corruption operation Lava Jato (Car Wash), which helped paralyse the Brazilian economy, and the 2016 removal of the Rousseff Government from power. The organisation insists it is independent from both the US Government and NATO, however it receives the majority of its funding, of an undisclosed total, from various NATO member governments. 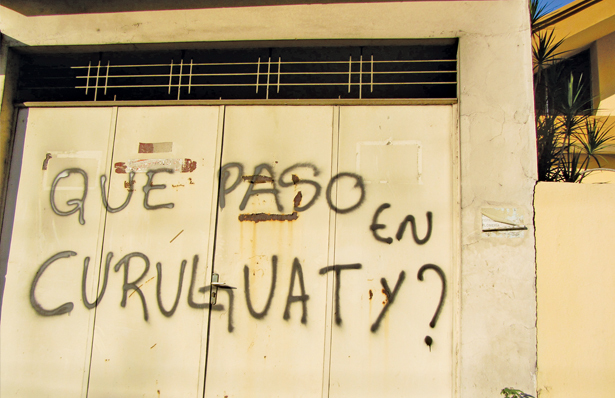 It was recently in the news for donating a million dollars, provided by the US State Department, to an opposition group in Venezuela, the latest in an estimated USD$45+ million in US funding to pro-opposition groups since 2008. In October 2013, one year ahead of a crucial run of regional elections and after a burst of destabilisation in Brazil, the Atlantic Council launched its new Latin America effort, named the ‘Adrienne Arsht Center’, with a stated aim to “study, educate, and strengthen the trends transforming Latin America into a strong Western partner”. The center was founded by Peter Schechter, a consultant who also hosts Altamar, a foreign policy podcast. Until June 2017 he was the Atlantic Council’s Senior Vice President for Strategic Initiatives as well as founding director of its latest Lat Am-focussed wing. Born in 1959 in Rome, Schechter was raised in Italy, Bolivia, and Venezuela. In 1993, he co-founded Chlopak, Leonard, Schechter and Associates, a DC-based consultancy which advises politicians, companies, non-profits, and international organizations. Their clients’ tasks included fighting “regulatory encroachment” on US banks in Latin America, to spinning Hunt Oil’s Camisea project in Peru, which was threatened by protest from indigenous groups. The bulk of his work, however, was serving as election advisor to conservative and neoliberal candidates across Latin America, including a number of current presidents. Clients included Venezuela opposition leader Henrique Capriles, Alvaro Uribe (his fourth client in Colombia), and 1994-2002 Brazilian President Fernando Henrique Cardoso. His expertise in the region has made him a regular talking head on Latin American politics. He is a frequent guest analyst for television shows across the region as well as on US-based Spanish language networks Univision and Telemundo, noted for their right-wing bias. In September 2009, Schechter’s firm signed a contract with the interim Honduran government of Roberto Micheletti to provide public relations services following the June 28, 2009 coup d’état. According to Foreign Agents Registration filings with the US Department of Justice, the firm received over $292,000 to boost the post-coup regime’s image in the US. 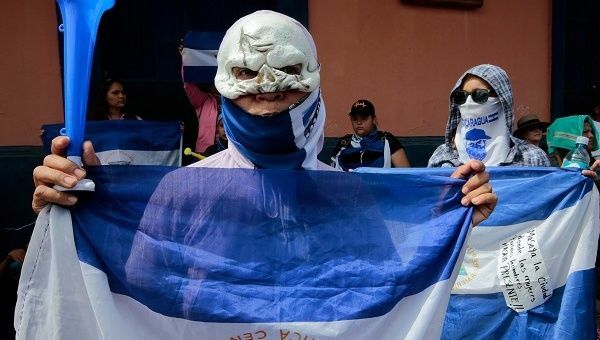 His work for the Honduran putschists attracted negative publicity for Schechter’s company and sparked indignation both in Honduras and in the US, including letters of condemnation and a protest in front of the firm’s Washington, DC office. On Brazil, Atlantic Council personnel could be found quoted in the press and on television networks eulogising Operation Lava Jato, normalising the judicial/parliamentary Coup d’état which removed Dilma Rousseff, and also promoting the neoliberal programme of Michel Temer’s post-coup government, such as fiercely resisted cuts to workers rights and a programme of pension reform which would raise retirement age as high as 74 for millions of ordinary Brazilians, which is above life expectancy in some areas of the country. When these commentators would talk about “anti-corruption” and “poor economy” as the reasons for her impeachment, they would never indicate any relationship between the two. Yet Rousseff’s removal stemmed in part from both the public fervour generated by the partisan anti-corruption operation, and also perversely the economic effects it had created – with some economists estimating that the resulting Lava Jato mandated shutdown of economic sectors in 2015 accounted for half a million unemployed in construction alone, and 2.5% of GDP – turning a mild recession into something Wall Street talking heads in its corporate media could portray as the “worst economic crisis in a century“. Lava Jato not only had profound effects on Brazil’s economy and democracy, it has also indirectly enabled capture of the country’s strategic resources, and corporations such as Embraer, which is now a target of takeover by US competitor, Boeing, sparking outcry amongst Brazilian developmentalists, nationalists, and the left as a whole. The roots of the operation can be traced back as far as a 2002 Bush-era initiative, encouraged by infamous Office of Public Diplomacy propagandist, former Venezuelan ambassador, and one time head of Council of the Americas, Otto Reich, which made anti-corruption the principal tool for enabling political and economic outcomes in the region. Also in 2009, leaked cables reveal that Lava Jato’s main protagonist, inquisitorial prosecutor/judge Sergio Moro, was already in collaboration with the State Department and Department of Justice on an embryonic strategy which would evolve into Operation Lava Jato. Brazil, a one-time ally of Venezuela, has seen its democracy, economy and sovereignty severely impacted by the operation, which has been deemed “Lawfare” and “War by other means” by observers. The ongoing role of public relations from within or around organisations like Atlantic Council and AS/COA and their relationship with large commercial news organizations warrants maximum scrutiny, and is indicative of whom is directing the real power being wrought in the region. Using these non-conventional weapons, the so called ‘Pink Tide’ of leftist governments across the continent has been reversed, to the delight of Washington, London and Wall Street. Corruption allegations are affecting the political scene across South America, in Chile, Argentina and Peru, and frontrunner for Brazil’s own 2018 election, former President Lula, faces an appeal on 24th January in what amounts to a kangaroo court, a trial which could shape the country’s future for a generation. And the impact is not only economic and political but military and strategic. Joining its beachhead in Colombia, which is becoming an official NATO partner, comes the establishment of new US Military presences in Argentina, Paraguay, Peru and now Brazil’s Amazon and North East. It is telling that Liliana Ayalde, US Ambassador to Brazil from September 2013, throughout the 2014 election and subsequent Coup d’état, is now serving as civilian deputy commander of US Southern Command (SOUTHCOM). “Ukraine. Across its eastern border is Russia and to its west—Europe. For centuries, it has been at the center of a tug-of-war between powers seeking to control its rich lands and access to the Black Sea. 2014’s Maidan Massacre triggered a bloody uprising that ousted president Viktor Yanukovych and painted Russia as the perpetrator by Western media. But was it? In 1970, Salvador Allende was the people’s choice for the President of Chile. 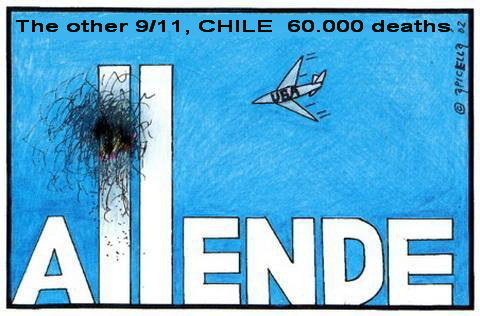 However, he was not the choice of the establishment, the armed forces or the CIA – who financed an 8 million dollar campaign to de-stabilise his democratically elected government, and provided logistical support to the military coup which deposed him and led to 17 years of military dictatorship under General Pinochet. 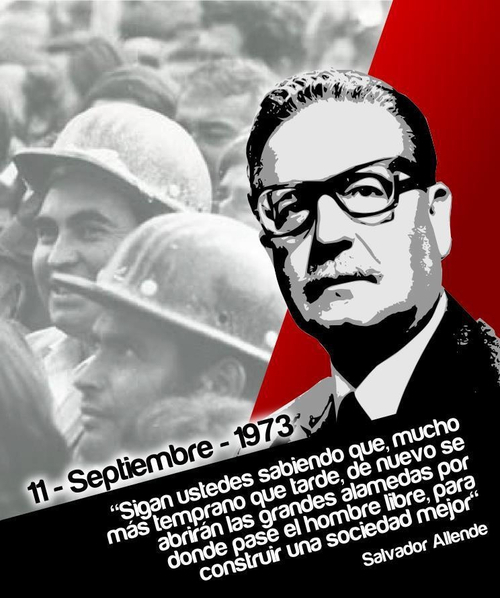 This film recalls Allende’s last radio speech before he died in the Presidential Palace, Santiago de Chile, on the morning of the eleventh of September 1973.